One of the top college football players set to hit the transfer market may very well end up staying put in the ACC. 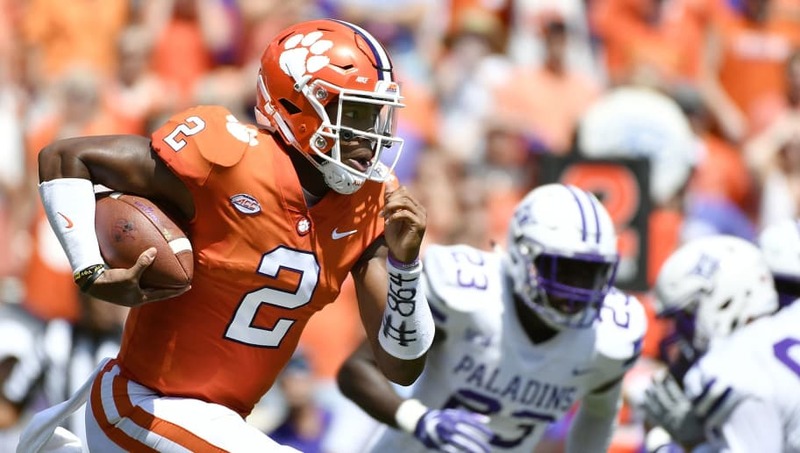 According to ​a report from Greg Barnes at ​Inside Carolina, former Clemson quarterback​ Kelly Bryant will visit UNC this weekend. Bryant started all 14 games for Clemson in the 2017 season and was named a finalist for the Manning Award, which is given to the top quarterback in the nation. He completed nearly 66 percent of his passes for 2,802 yards and 13 touchdowns through the air, while adding 665 yards and 11 touchdowns on the ground. While some may criticize Bryant for being selfish and a diva for leaving after being forced to split time with freshman Trevor Lawrence, it's understandable given his status in the college football landscape. It's simple: if Bryant wants to fulfill his dream of playing in the NFL, he needs to play. He showed flashes last season, but he still needs to develop as a passer. And the only way any of those things will happen is if he plays. Not by being a backup. So good for Bryant for doing what he did. Hopefully this all works out for him.